Eurovudas Gorton Log Cabin: The Eurovudas Gorton log cabin offers thick 68mm wall logs, with triple interlocking tongue and groove boards that provide superior protection against water ingress and draughts. With two front windows, a double side window, and windowed door, the cabin features double glazing and double rubber gasket. The cabin is accessed via a veranda, with 26mm terrace boards and a 1.86m canopy that offers shade and some protection against the elements, allowing a space for seating. The 19mm roof boards can be given added protection with shed felt roofing material and bitumen shingles, which will protect the interior against the elements for many years. 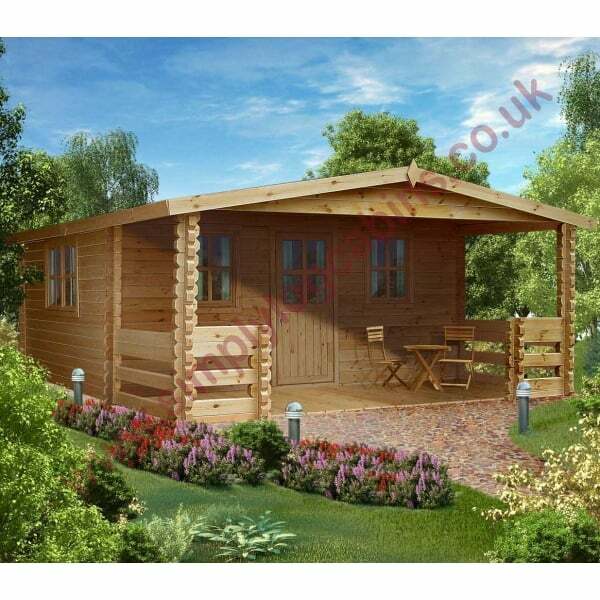 A spacious, light, and airy cabin offering great functionality and comfort, the Gorton is the perfect choice for a range of purposes and locations.